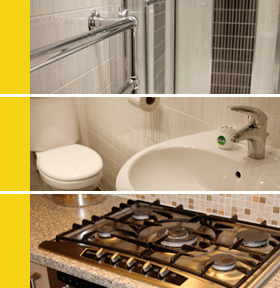 In need of a plumber in St.Helens? … and anything else plumbing related in the St. Helens area!! St Helens is a large town in Merseyside with a population of just over 100,000. The Town was officially incorporated as a Municipal Borough in 1868 responsible for the administration of the 4 townships consisting of Eccleston, Parr, Sutton and Windle. St Helens is situated in the far south west of the historic county of Lancashire, in North West England, 6 miles north of the River Mersey. The town historically lay within the ancient Lancashire division of West Derby. Today, St Helens is a commercial town, the town’s one remaining large industrial employer is Pilkingtons Glass. St. Helens is famous for its Rugby League team ‘The Saints’.